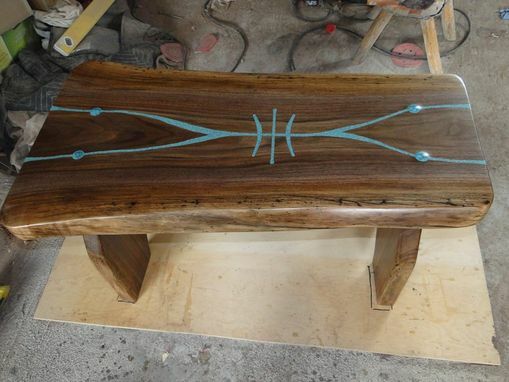 Black Walnut Slab Bench With Free Hand Turquoise Carving And Inlay "Spirit Chaser/Protection"
"Spirit Chaser/Protection" black walnut slab bench with turquoise carving and inlay. I milled this bench from dead and down Colorado Black Walnut. The entire piece is 2" thick solid Walnut with living edges. The legs have been mortised into the top, creating a piece that will stand the test of time. 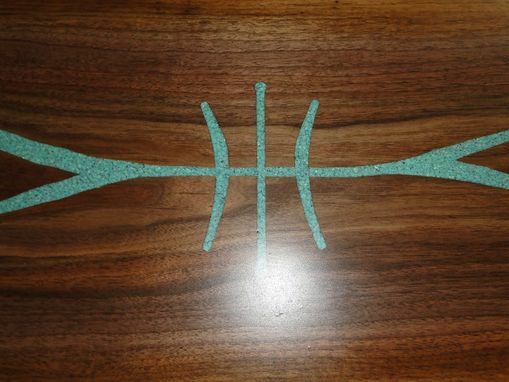 The design on the bench top is a free hand carving and inlay with genuine turquoise. 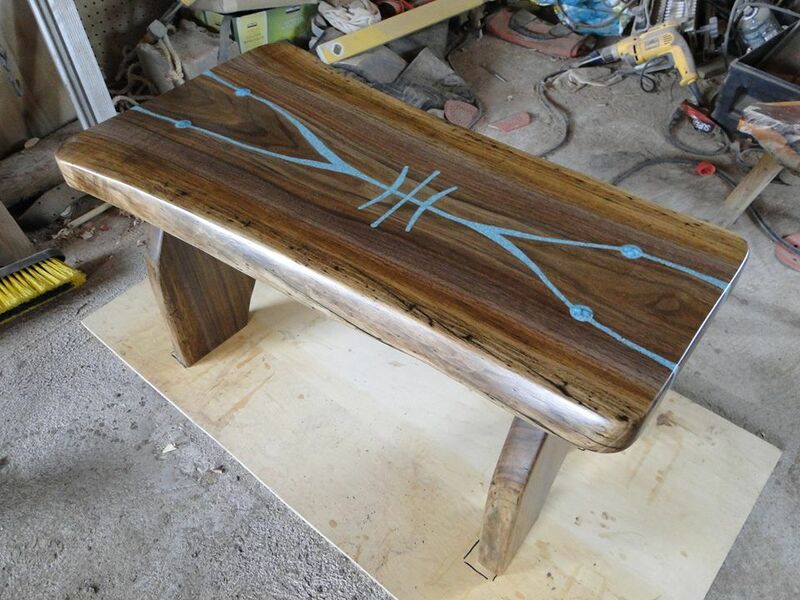 This is a gorgeous, one-of-a-kind piece of functional art! I am offering this piece at a discounted price before having it professionally photographed. Sorry for the poor pics! I'll be adding better pics and specific dimensions soon. The approx. dimensions are 19 H x 36 L x 18 W.